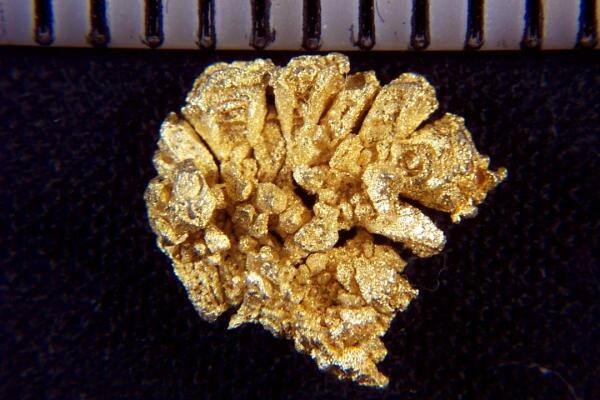 This is a very pretty Gold Nugget Crystal Specimen from the Round Mountain Mine. 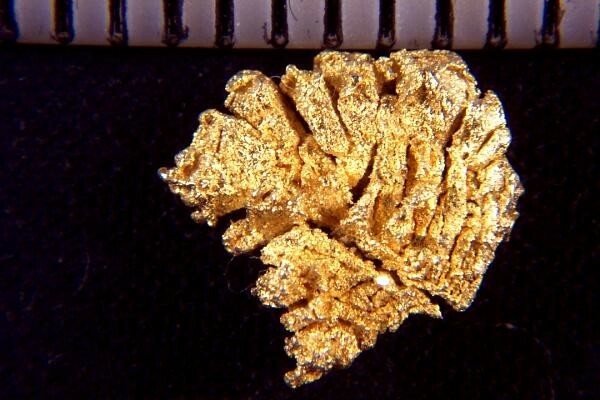 It is composed of individual gold crystals joined together. The textured surface of the gold crystals is really attractive, and the pattern of the natural gold crystals is real nice to look at. My Gold Nugget Crystal Specimens are second to none and you won't find a better selection of rare gold nugget specimens anywhere. This beauty is 7/16" (11 mm)long and weighs 11.6 Grains (0.75 Gram). It comes in a round plastic gem jar for display.